Alcohol is one of the leading substances that are commonly abused in our society. While moderate drinking is accepted as a normal part of life, too much alcohol can lead to addiction and can often be chronic and progressive leading to serious diseases if left untreated. People who get addicted to alcohol find themselves struggling with the physical dependence for alcohol and experience regular cravings. Generally, people who suffer from alcoholism continue to drink undeterred by the negative consequences it has on health and psychological well being. 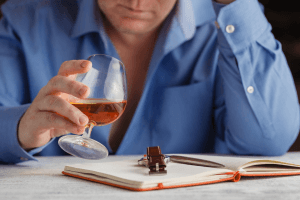 Although alcoholism is considered as a treatable disorder, most of the time, people do not seek medical attention until they experience the negative effects of being an alcoholic. When going through treatment, people would often go through detox from alcohol and experience the symptoms of alcohol withdrawal. This can be the hardest part of the phase while maintaining sobriety can be a constant battle that needs dedication and sound decision. With an effective alcohol detox timeline, one can expect the following phases in the treatment process. The initial step toward getting a life of sobriety is checking into a rehabilitation facility. Intake interview usually takes place before a person is admitted to the detox center and a series of assessments take place to find out more about your background and addiction. You may also be evaluated for co-occurring conditions which would be treated along with your alcohol dependency. The intake process is a crucial part of the rehabilitation process because this is the stage where the treatment plan is customized based on the unique needs of the patient. Additionally, this is where the patient is diagnosed with other co-occurring conditions that can be treated along with the alcohol addiction. This can be the most difficult stage of the rehabilitation process. Most often patients experience physical and psychological symptoms of withdrawal and create difficult and often dangerous effects on the individual. Some of the common signs of physical withdrawal include seizures, shakiness, headaches, irregular heartbeats, sweating, and nausea. Psychological symptoms which are often the dangerous part include anxiety, hallucinations, mood swings, and nightmares. Nonetheless, medically supervised detox from alcohol is safe and comfortable. During the process, clinicians will see to it that your physical symptoms are under control and you maintain a stable condition. Some physical manifestations of alcohol detox such as seizures, insomnia, and nausea can be controlled by prescribed medicines. After the physical manifestations of the withdrawal process have been controlled, mental health professionals will work to supervise the psychological aspect of the treatment. They focus on managing the emotional issues of alcohol withdrawal along with proper education about the negative effects and consequences of being dependent on alcohol. Several psychological issues may arise such as despondency, restlessness, and cravings as aftereffects of the withdrawal process. This can be especially true even if the most intense physical symptoms have eased off. More importantly, the emotional manifestations of alcohol withdrawal linger even after the physical symptoms have been managed. In addition, a facility may also require a patient to undergo several therapeutic regimens to ease the physical, emotional and psychological symptoms of alcohol withdrawal. They can recommend activities that provide leisure time as well as a therapeutic element to make the alcohol treatment more effective. Facilities often incorporate a post-treatment care for alcohol addicts as part of the ongoing process of rehabilitation. This provides them with the needed support to maintain sobriety and give them a social network that would reinforce their motivation for a sustained recovery.